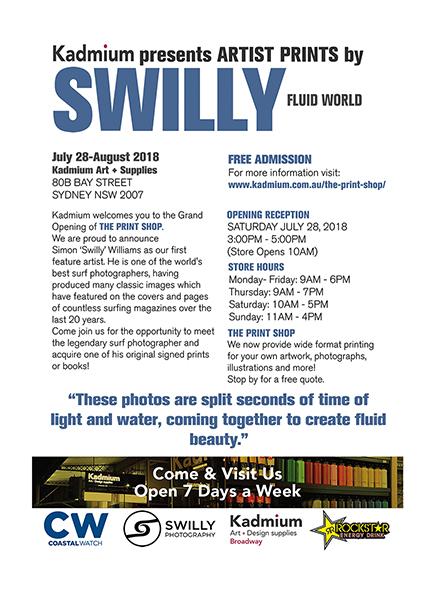 Kadmium welcomes you to the grand opening of The Print Shop! 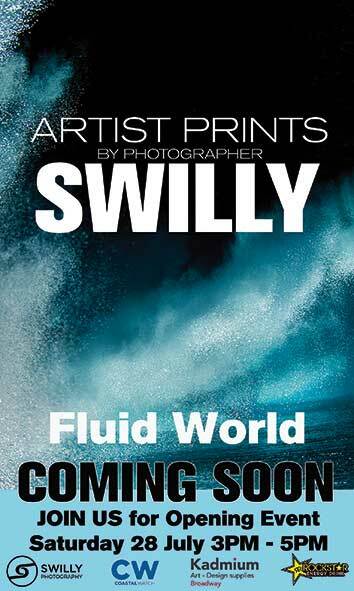 We are proud to announce Simon "Swilly" Williams as our first feature artist. He is one of the world's best surf photographers, having produced many classic images which have featured on the covers and pages of countless surfing magazines over the last 20 years. Come join us on Saturday 28th of July, from 3-5 PM, for the opportunity to meet the legendary surf photographer and acquire one of his original signed prints or books. We are proudly sponsored by Rockstar and Coastal Watch. Come meet the artist and learn more about our new services at The Print Shop!